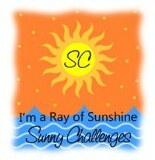 Please join me in congratulating Leonie Schroder, this week's Ray of Sunshine. Isn't Leonie's card gorgeous. Please visit her blog and let her know how much you love her work. Leonie we would love you to share our badge on you blog. 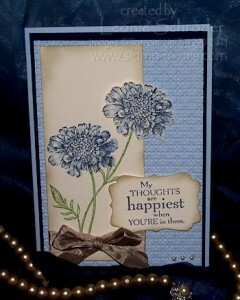 We also want to thank our guest designers this week Jean and Leigh. Their design team entries were both gorgeous. Don't forget to pop in tomorrow to see our new challenge. We really appreciate your support and look forward each week to seeing your entries. wowza ... thank you thank you thank you ;) This has made my day :) will pop the badge on a little later as I need to clean house for today's Stamp A Stack!